What a joy seeing everyone who attended the dinner at Datillo's. Susie, please drop me a line at dshunkey562@charter.net, I would love to connect with you again. Sorry I didn't make it to the "after" party. Hope you all had a blast. Judy, Francine, Daryl, Laurie, let's keep in touch. Hi all - just wanted to add my delight at seeing all of you at the reunion. It was great to spend some time with you again. For anyone interested in keeping in touch, my email is toni.heidtman@phs.com. Have a great "rest-of-the-summer", and keep smiling! Yeah, this was a really nice reunion and what a great time I had seeing you all. I mentioned going to see Jon Bailey in the assisted living home at a future date, for those who expressed interest. It will be off a couple months until Loretta and I get more settled in our new home. Who ended up with the email list taken at the picnic? Can that be posted please? I see the email Loretta sent out regarding this new website only goes to those she has email addresses for, and I know there are others that need to be added to the list. There is an area under people's names where you can furnish that persons email if you know it too, but I think if there was a section under this forum where all the emails are listed, it would help avoid double postings of a persons email. You could go to that alphabetical list to see if that person does or does not have an email contact. The administrator would have that email for contact purposes such as future reunions but the person can choose to have his/her email public or not. At least we would know that person can be contacted at by the administrator. The reunion was TERRIFIC!!! Wish we had time to sit and talk to everyone, but there wasn't enough time. If Ed Weston wants Kathy Tenopir's information, I will check our database to see if we have it. Then I will contact Kathy to get her o.k. to release the info. We never release anyone's information without their permission. Hope everyone understands. Anyone who wishes to update their email information can contact us through the "contact us" link here, or email us directly at dennisandjerri@msn.com. We want to make sure we have everyone's current email information on file. If you ever see another classmate, or have any info that may be missing, please send it to us. The next time we all meet, we will be eligible for social security. Now that's a scary thought. Did you receive the email with everyone's name that was at the picnic? The reunion was a blast! I will be working on my golf game for the next time :) I heard a lot of buzz about a 45th reunion? Hope so! Can't wait to see the photos. I posted some photos that Diana took at the school tour under my profile. Let's all keep in touch! I'm waiting for the photos from the photographer (who also happens to be my son), and I'd also like to include whatever photos that everyone else took. I know Diana Hernandez posted photos of the tour (thanks, Diana). I found some software that will turn my PowerPoint slideshow into a video, so it can be posted on the website, and I'll put that on the Reunion page. I was going to show it at the reunion, but everyone was having so much fun, I just decided not to. We also created a couple of fun questionnaires that I'll post. I had so much fun!! Thanks to everyone that showed up. It just wouldn't have been the same without you. The band said you guys are great, too. They had a ball playing for you. I was amazed at the tour of the high school. So much has changed, and yet so little. They have worked very hard to keep the ambiance and keep the look and feel. They have refurbished the fountain (remember they cemented it in when we were there? ), and the principal's office, attendance, and guidance offices look exactly the same. The boy's gym is amazing though. I'm also really glad folks are signing up on this site. I think it's a lot easier to use than Classmates, and since it's just for us, we can create our own pages and stuff like that. I'll probably post some instructions somewhere, but for now, just noodle around and get used to it. Hmmmm.....Snow & Ice? Earthquake? Snow & Ice? Earthquake? Hmmmm...tough choice ;-) Hope everyone fared well. Is everyone living in the quake zone ok? My house is fine. A little broken glas but that's about it. Hope all is well with everybody. The earthquake news even made the local Lincoln country radio station, with a live play-by-play account. I guess I don't actually live at the end of the earth. I called Bonnie Erickson yesterday - she and her husband live in Chino Hills. The quake scared her to death, but nothing even fell over. Weird, and lucky. I was excited to see Kate Hutton on TV talking about the Chino Hills vs. Whittier quake. Nice to know some things don't change. Tornados are pretty exciting, but all the TV stations have weather tracking whenever there's any kind of weather event. They're really accurate, plus there a siren system if there's any danger. Only heard it once a couple of weeks ago. I certainly wouldn't want to live in the Midwest without a basement to go to. Who new Bucky could sing? Had a great time and hope to hear from any of you who might travel to Reno. Will post pictures from reunion later. Where was Jerry Renfro? Our house in Rancho Cucamonga did fine.. no damage at all, just a HUGE amount of shaking. I posted some of the reunion pictures that Susan Holder sent to me.... then I decided a slideshow might be even better (and faster to make than uploading those pictures), so I'm working on that. I have the portraits and the candid shots taken by the photographer, and I'll be posting those as soon as I can. I'm also getting a CD of all of the yearbook senior photos, and I'll upload all of those. Several people have told me they no longer have their books. Coming in October (probably), this format of this message forum will change to be like most other forums you may be a member of - with topics and threads within the topics. I'm really excited about that. Hi this Rosalie Espinoza Hernandez Sanford, does anyone have any info on Lupe Delgado and Mona Allarid I did call Gilda Gallegos yesterday. but she has not hear from them for a long long time. Please e-mail if anyone has found them. My best long time friend Jon Bailey passed away on Monday Jan 10, 2011. He was staying in an assited living hospital in Glendora when he contracted some form of disease that was extremely resistant to antibiotics and he never recovered. He just turned 61 years old in November last year. We became friends in the 2nd grade and have continued to see each other until the end. I remember barely being able to speak English back then and he took me under his wing. As the years went by, we spent time at each other's house and screwed around all Summer long...like every day for years until after High School and even a few years after that. He loved to cruise around Whittier in his Corvette. We would make the same cruise route everyday going past girl's houses and stopping at the news stand. Then later in the evenings and weekends, we worked together in his old man's 76 gas station on Hadley. We lost contact for a brief period, but got reunited and then continued to visit each other. I was lucky enough to stop by his room every Sunday on my way down to Upland for the last 6 months or so. He was pretty much bedridden then, but I would make him get up and help him into his wheelchair so we could "cruise" around the hospital and outside where we would have a smoke together. I would bring him butterscotch candies (sugar free) and Blue Diamond almonds...his favorite snacks. It's amazing what little things like that can do to make a person happy when you don't have anything else. I tried to spend at least an hour with him every visit, and he looked forward to Sundays so we could spend time together. When he got ill, he was moved to another hospital under intensive care, but I got to see him a couple weeks before he passed away. Although he's not suffering anymore, I will miss him dearly. Just wanted to say hi to everyone. 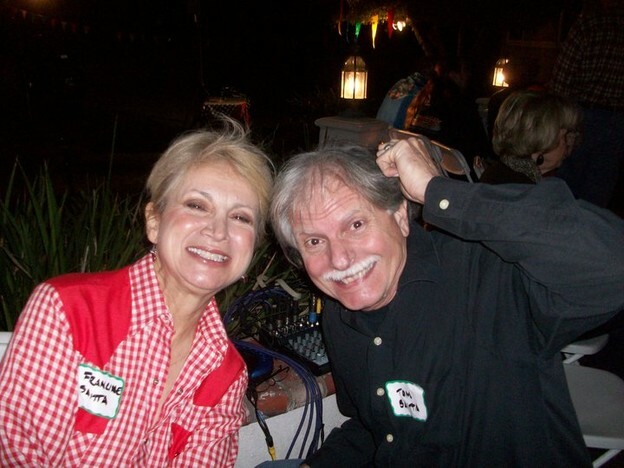 I know it has been awhile since the reunion but my husband Tom and I had a wonderful time. We would love to connect. I agree with Frank. A 45th reunion would be awsome.!! I bring terribly sad news to our class. Diana Hernandez informed me that Frankie Hernandez, our athlete of the year passed away on January 31, 2018. Diana told me on Jauary 18th, that he had been diagnsed with stage 4 stomach cancer and it had spread to his liver and lost 50lbs already. He had radiation and chemo, but his fate was sealed. Diana is beyond devastated. On February 2nd, she messaged me that Frankie had passed away on January 31st. The funeral will be on February 16, 2018 at the San Joaquin Valley National Cemetary in Santa Nella, California. He will be burried with full Military Honors. There will be a reception after at Anderson's Pea Soup. My heart goes out for Diana, I know this is harder on her than it is for anybody. It's so sad to see all of those listed on the "In Memory" page...when I read each name, their high school aged faces and youthful selves come to mind. I'm hoping many members of our class will come to the reunion - especially those who have not attended any of the past parties. Time to connect again! Peace. Thank-you Dennis and Jeri for the awesome reunion! It was amazing to see the response, the location was wonderful and it was so much fun. Thank-you Theresa for the memorabilia table; it took us all back on quite a journey! I think it was amazing to reconnect with so many; we all left childhood together and there we were together once again. The sincerity and genuine joy and deiight was palpable in the room. 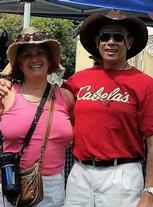 Hi Dennis, I’m looking forward to seeing you and Jerri at the Civil War re-enactment at Cherry Valley in September. Maybe I’ll be inspired to join in! I’ll see if I look better in Blue or Grey! Thank you all for your nice compliments and comments. It was so great to hang out with all my fellow Cardinal Band buddies. So glad to finally see our drum major Zenovy attend!!! We had fun putting it together and planning. Glad you all enjoyed it. 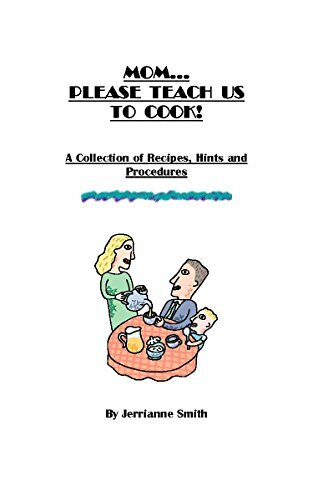 If you are interested, I wrote a cookbook a few years ago and it's available on AMAZON.COM for only $9.99, or AMAZON KINDLE for the same price. If you have AMAZON PRIME, it's free!! (See cover below). I wish I could have gotten around to see everyone. Thanks so much for attending. It was great fun!!! So nice that people are posting here so they can connect and STAY connected with others. Thanks for letting Dennis and I serve you all.